I am pleased to inform my family, friends, and my beader fellows that my work "Ring Around the Barrel", a.k.a. 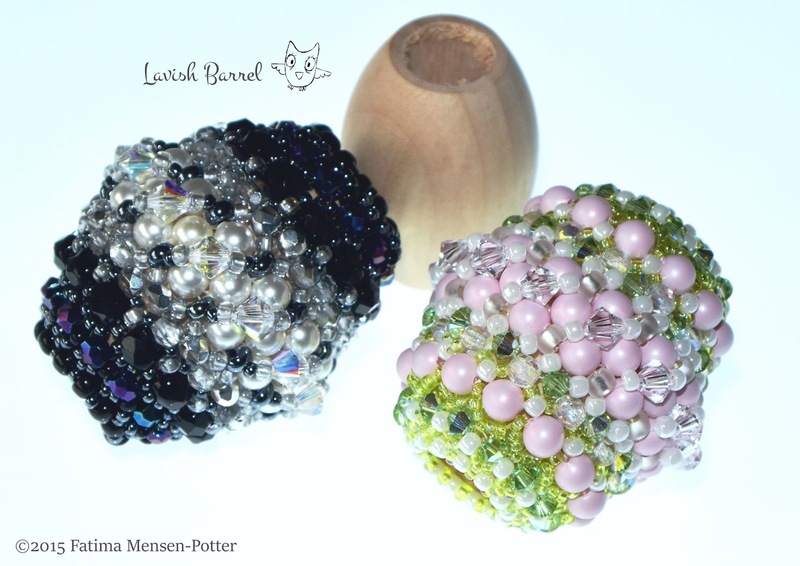 "Lavish Barrel", was selected to appear in Bead&Button book, "Creative Beading" Vol. 12, due to be published by Kalmbach Books this summer.